Comments: Assalam o Alikum, Sir ap ka deen ke leye ye kam ye khidmat intihai qable sad sataish hay. Allah ap Ko is dunai or akhirat mn ajre azeem ata farmay. 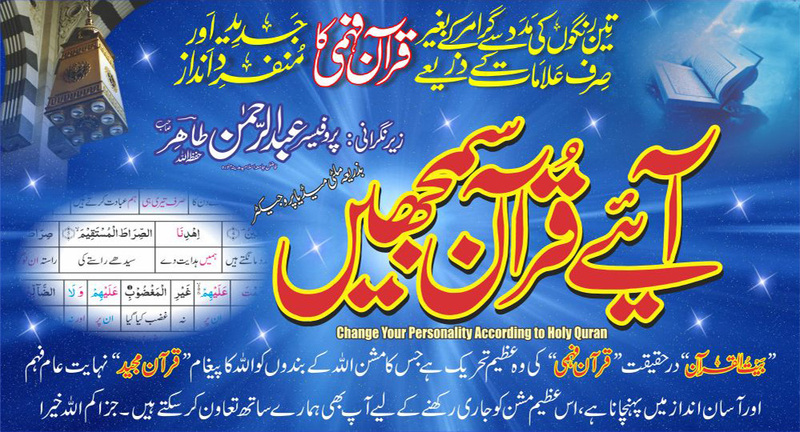 Comments: Assalam-o-alaikum I found this site very useful for all human beings, specially for muslims. Please add the facility to download video lectures. Comments: I was found of learning Quran e Majeed arabic. Now with the help of your publication I am able to understand Quran e Majeed while reciting it. Jazzak Allah khair.